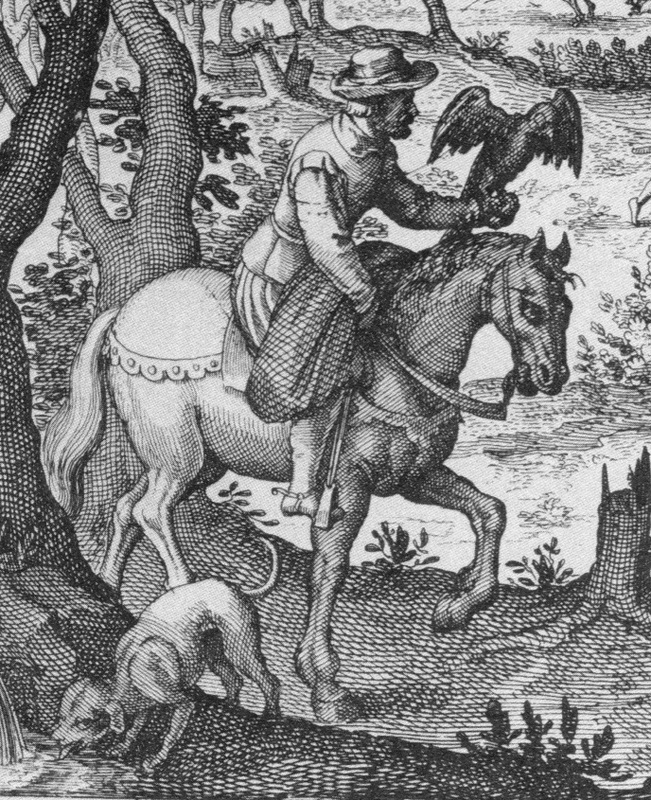 "In the 17th century, colonists on the eastern seaboard of what today is the United States began to cross imported English Thoroughbreds with assorted "native" horses such as the Chickasaw Horse, which was developed by Native American people from horses descended from Spain, developed from Iberian, Arabian and Barb stock brought to what is now the South Western Untied States by the Conquistadors." The source cited for this information is Robert Denhardt, The Quarter Running Horse, 1979. Now first, before I test this statement let me say Robert Denhardt is a champion of the Quarter Horse, without this man and his work the known bloodlines of the breed would have been lost to the dust of the prairie. He was instrumental in the establishment of a register to preserve and expand the breed. Not only that, he wrote many books and they have become the bedrock of the Quarter Horse breed literature. Mr. Denhardt, like the rest of us, had to rely on earlier research to present the history of the breed as best he could, and when he published his book which the article cites as its source, the DNA studies were 25 years in the future, and the research done by MacKay-Smith was still 5 years off. So I don't want to put you off on this man or his work---you as Quarter Horse breeders, should search out all his work, as well as that of Nelson Nye (Speed and the Quarter Horse) who was writing in the same time period, plus MacKay-Smith's The Colonial Quarter Race Horse, and add them to your library, the knowledge they provide is priceless. Now back to the quote above on the QH history. I guess this is the 'industry wisdom' on the origin of the horse that became the Quarter Horse, but when you apply a timeline and the DNA findings it comes up short. For instance, the 17th century is the 1600s, and the eastern seaboard settlements were the Virginia and Massachusetts colonies (the other colonies came later in the century). Racing and hunting on horseback was the pastime of the most privileged. Horse breeding in the early colonial experience was done by the Governor and the plantation owners who imported the stock for their own use as racing, hunting and riding horses, and the developing breed was selectively bred for these activities (a true breed because it was intentionally bred and performance tested). Horses in the American colonies, although used for pack, were never used for draft work, instead all the hard pulling and plowing was done by oxen, it was only much later that heavy horse draft stock was imported from Europe. Following are a few timeline corrections: The first Thoroughbred was not imported into our colonies until the next century, 1730 to be exact, and not many (only 170) until after our Revolution--which is 140 years after the American Running Horse breed was created--therefore the base stock was not part-TB. The Chickasaw Horse was an Indian developed breed, bred in colonial days in the areas that were to become western Tennessee and Mississippi (where De Soto's horses were abandoned after his death). It was never a populous breed, it never reached the eastern colonies until much later, and it was not a fast breed, and it was not where the sprint speed of the Quarter Horse came from--therefore the early Running Horse was not part-Chickasaw either. Alexander MacKay-Smith extensively researched the colony records of Virginia (which is where sprint speed was refined and concentrated) and he said he could only find one instance of a possible Chickasaw entering the gene pool and even that was debatable. Also the Conquistador horses were Iberian Horses, mainly those from the southern Iberian Peninsula, and they could have had Barb in them, but the Arabian idea is a fantasy and no Arabian entered America until after 1800. The beautiful Spanish Horse was a premier light riding horse, but it was not fast and not a racehorse, the Barb could have had some speed, but like the Iberian Horse it moved with elevated front end movement which would curtail real speed. In contrast, our colonial Running Horse was a lightning fast racehorse, with tremendous stamina and it was gaited (pace, amble, rack)--it raced at both the pace and the gallop. The confusion on the Chickasaw may have arisen from one of the common names given to the early colonial horses: Native American Woods Horse. In this descriptive title 'Native American' meant developed in America, not the indigenous people. In the beginning only the rich land owners (gentlemen) had the horses, they were expensive to import and the common people brought in to populate the colonies were plantation workers and craftsmen---not sportsmen. The eastern colonies were heavily forested, and aside from the coastal areas, any land to be settled had to be cleared, literally chopped out of the virgin forest. That is why sprint racing was the craze at first, there was not enough cleared land for cross country races or racetracks, therefore all the early races were on cleared parallel paths for short distances. In Virginia, documented racehorse breeding was in progress by 1624, (Hervey) by the eleven plantation owners and Governor Dale, and it was this governor that imported the first Hobbies: 18 in 1611. Later when horses became more populous and other types imported, it was only then that the general populace became mounted, this occurring sometime after the influx of massive refugees from the English Civil War (1642-46). With cleared land at a premium and being used for necessary crops, it was never used for grazing in the early colonies. The livestock of the common people was kept in the forest, turned loose to forage at will and fenced out of the crop areas and fenced away from the plantation stock as well, so the racing strains would not be contaminated with the less sporty types. By century end the woods were overrun with feral bands of cattle, pigs and horses, and thus the name was born: native American woods horse---it has nothing to do with our "Native Americans" or Chickasaw Horses. So, where did the original stock that became the Quarter Horse come from? Where did the unmatched sprint speed, the wonderful docile temperament, the stout build and cow sense come from? And that is where I can fill you in, and I think you will find the true story (as we know it so far) is way better than we have been taught, because our North American horses all got their start from the best race and sport horse in the world, a breed that had by the time it arrived in our colonies a documented history as a racehorse of 2000 years! So let's get our facts straight and have some fun. Yes, the Conquistadors left their horses when they returned to Spain and Portugal, and yes, some of those horses were rounded up and bred from by the Chickasaw nation, and earned renown as a good and useful light horse breed. DNA studies (Luis et al, Jansen et al) have confirmed that both these mustangs and their descendant, the Chickasaw originated with the Spanish Horse (Iberian Horse with Barb added) and that the horses that came from Ireland and England originated in northern Spain (Celtic Horse). Both the Chickasaw and overall mustang stock did enter the Quarter Horse gene pool, but at a later date. Contact with the Chickasaw Horse and other mustang populations occurred only after the American Running Horse migrated out of Virginia to South Carolina, Tennessee, Kentucky, Missouri and further west (mid 1700s to early 1800s), so it was in later colonial and post colonial time, mostly after our Revolution (timeline) that those additions were made, but the most valued attributes of the future QH were already resident in the Running Horse before these two breeds met. The Iberian Peninsula horses were recognized as existing from as early as 1000 BC, as was the Barb, both the result of Phoenician colonies being planted there. The horses brought to Iberia originated in the Anatolia region (modern day Turkey) and were shipped to the new ports set up in Iberia and northwestern Africa, which in-turn were established as depots for further shipping up to the island nations loaded with tin--later known as the British Isles. It was all about trade, and the horses were shipped and exchanged for tin and other commodities the inner Mediterranean area lacked. One population developed on the southern Iberian Peninsula (Iberian Horse) that was valued as a beautiful saddle horse and had high knee action, and was closely related to its neighbor the Barb, both having elevated 'active' trots--modern day descendants are the Andalusian and the Lusitano. Another strain arose about 700-600 BC in the northern Iberian area (Celtic Horse), was related to the others but notably different in that it paced instead of trotted and was extremely fast. In ancient time these horses were already famous and were highly valued by the Greeks and later Romans as cavalry and chariot horses. Their likeness appears on the frieze of the Parthenon (400 BC), and they were written about by Pliny in 77 AD, they were the preferred chariot horses of the terrible coliseum races (not Arabian horses as the fantasy mill has spewed out--the Arabian did not even become a breed until 600 AD and personally I think that date is hasty.) Horse racing has been documented in Ireland since the Christian Era. We know our domestic mustangs originated with the southern Iberian Horse, but what did our colonists breed up from? The Massachusetts Colony, which included the land areas that became the modern day states of Massachusetts, Rhode Island, New Hampshire, Vermont, plus Nova Scotia (split off in 1696) and eastern Connecticut; and the Virginia Colony covered what is now Maryland, Virginia, West Virginia, Kentucky, Indiana, Illinois as well as sections of Pennsylvania and Ohio. These were English colonies and they received horses principally from England and Ireland (under English rule from1149-1949). Virginia had a trade treaty with Ireland for all its horses. What were these horses? They were bred from imported Irish Hobbies and English Running Horses, the premier racing and saddle breed of the British Isles and the fastest horses in the world (TB did not become a breed until 1670). In both our colonies it was the Governor and the large land owners who imported horses, and what they wanted was to continue their former lifestyle in the new land, which meant they wanted quality horses to ride, to hunt and to race. The Massachusetts Colony however was brought quickly under the control of the Puritans (1630s), and they outlawed racing, and so the speedy Hobby descended horses were not selectively bred to race there. It was a different scenario in the Virginia Colony because immediately (1624) we find evidence that hunting, racing and the directed horse breeding for these abilities were in full swing. The Virginia racehorse was performance tested first on sprint paths hacked from the forested coastal land, and shortly (1677) the first Virginia racetrack appeared where they tried their stock in distance heat-racing as well. Of the imports, the Irish Hobby was the fastest, as the English Running Horse had suffered more interbreeding with the slower stock of the continent. But both were sound, sure-footed, fast, of short stature and stout of form, gaited and possessed a winning disposition; they also had "cow-sense". The colonists, through selective breeding kept those traits in power, even after other stock had been imported, there were always sections of the colonies were inspired breeders kept the sterling talents of this precious gene pool in concentration. Our original colonial breed was still in existence into the early 1900s when the last of its members were absorbed into its splendid descendant breeds. The Quarter Horse is a direct descendant of these early imports, as are the rest of our premier saddle and race breeds: American Thoroughbred, Standardbred, Saddlebred, Morgan, Tennessee Walker and Missouri Fox Trotter. That means not only is the Quarter Horse (and its close relative the Paint Horse) with its unmatched sprinting speed, great disposition, cow sense, stamina to work long hours, beauty and stoutness a direct descendant of a sport horse breed that had its roots 2500 years ago, but it is also a close sibling of our other great light horse breeds---they were all the same breed until the 1800s (see American Breed Development for an outline). On the natural 'cow-sense' that is found in our great ranch horses: Chuchullaine O'Reilly of Long Riders Guild provided us with a fascinating history of the imported Irish Horse and the cowboy Irishmen carrying out the first cattle drive on American soil. It was done in 1655, starting at the Pynchon plantation in the modern day Springfield, MA area (where the cattle were raised), to the livestock yards in Boston, MA where the meat was sold to merchants. Ireland had a tradition of cattle driving to market on horseback with their Hobbies from at least 1000 AD, and the Irishmen fleeing the Ulster Uprising and the English Civil War came to our colonies (1642-46), with their wonderful horses and horsemanship. So it was cattle drives on the premier riding horse of the colonies: the American Running Horse (Hobby descent), became an American tradition as well and spread to all settled areas as the frontier progressed along with our talented breed. On the colonial racing horse, the common understanding is the Narragansett Pacer was the only colonial racehorse. Once again this is cleared up with a timeline application. The Massachusetts Colony outlawed racing, and so the stock, even the very fast strains descended from the Hobbies were not being bred there to race. All that changed when a new settlement was established by the more liberal Quakers and Baptists in the Narragansett area (1636). 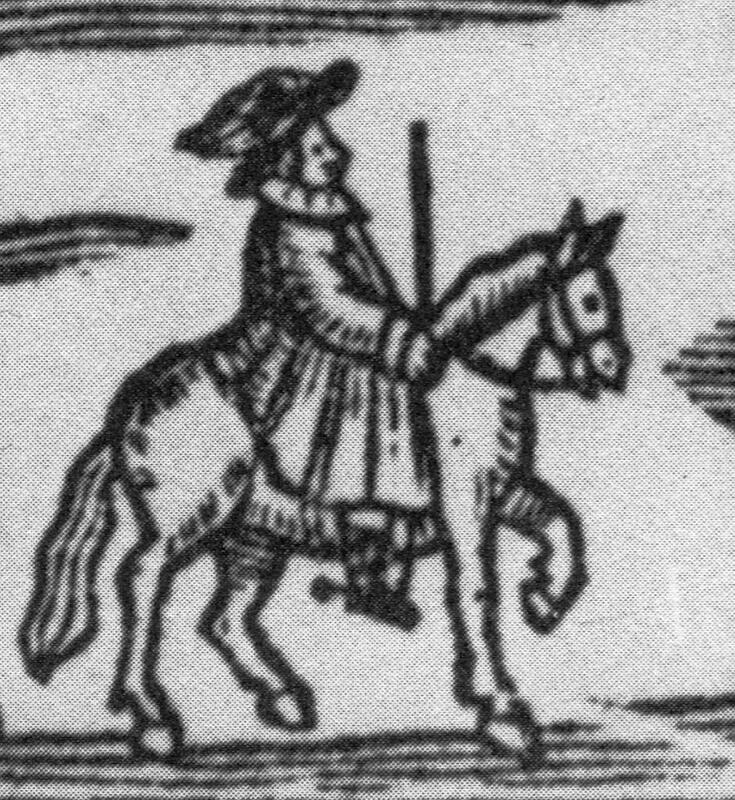 While settlers began planting villages there by 1640, the organized breeding of sport horses could not have occurred until after 1670, when John Hull and his associates walled off peninsulas reaching into the Narragansett Bay, for the purpose of segregating livestock for selective breeding. The evidence of a strain specifically bred to race comes a little later with the establishment of the Hazard and Robinson Plantations, and the racetrack set out on Little Neck Beach, in approximately 1690. By the turn of the century Rhode Island had established a first rate racing, hunting and riding branch of the Running Horse, which became known as the Narragansett Pacer, and was shipped far and wide. Reverend McSparran timed the mile pacingraces in about 1750 at under 2:30. This Running Horse population became world famous for its marvelous comfortable saddle gaits, its endurance and its fast pacing, and it was very much in demand. Unfortunately, its desirability and the demise of the plantation system worked to make it almost extinct in its area of origin by 1800. (See Standardbred Sport Horses for the full story of colonial sport horse breeding). In contrast, the Virginia racing breeders were organized by at least 1624, probably earlier because the first Hobbies we know of were imported in 1611, but were much more contained to the elite class. Sprint racing was practiced at first as mentioned, then also distance heat racing, and this practice continued unabated until after the Civil War. Visiting foreigners (Durand, Berenger, Smythe and others) all were amazed by the quality, speed, stamina and gaits of this breed, several saying that they were "the best in the world". By 1669 the number of horses had grown so tremendously that legislation was made to stop all importations into the Virginia Colony--this was before there even was a Narragansett Pacer. Further there is a evidence that John Hull imported fine race and saddle stallions from Virginia to begin his breeding project in Narragansett in approximately 1677. Plus, after 1700 the two populations of Running Horse traveled back and forth regularly for race meets and breeding--they were two branches of the same breed (Hazard letters). Virginia was also a key element in the preservation of the sprint speed our modern Quarter Horse possesses. Sprint racing has been a sport enjoyment and passion since earliest days there, and as the time of the Revolution approached (mid-1700s) the Thoroughbred was beginning to be imported and crossed on our racing breed. It added height, the trot and in most cases did not diminish the speed as other breeds had done, with great foundation horses like Janus and Fearnought leaving wonderful dynasties in our domestic horses. The Revolution decimated the horses of the eastern colonies except those the sprint breeders in the Roanoke Valley region who were further from the action and had less loss. They had been breeding sprinters to sprinters for over a century, and the horses that came out of that area formed the speed base of our later three racehorse breeds of Quarter Horse, Standardbred and American Thoroughbred (different from every other Thoroughbred because it contains Running Horse bloodlines). The proof of the benefits of this speed element concentration is that today, nearly 400 years later, our 3 racehorse breeds are the fastest in the world. On gaits: it was not that many years ago that it was not unusual to find horses that ambled in both the Morgan and the Quarter Horse. And some of you may still suddenly find that one or two of your string ambles naturally. If you see this, don't become dismayed; instead be proud that your horse is displaying true foundation genetics. Both the Irish Hobby and its descendants the English Running Horse (pre-TB racehorse breed) and American Running Horse were gaited, and they were the preferred saddle horse because they were gaited, therefore easier to ride for hours. The Quarter Horse is the most popular breed in the world; it is so agreeable and versatile that it is enjoyed in many disciplines. Besides being used in the Western riding arts, a good many enthusiasts use the QH in the hunter disciplines, and it is a lovely show horse for English Pleasure as well, but the talent of the QH goes much further. If the hip angles are more equilateral than seen in the drop hip structure found in the sliding stop specialists, then we occasionally see even some international jumpers, such as Almost Persuaded and the Hall of Fame jumper Nautical. All these talents are resident in the genetics, an astounding array of sport abilities and as long as the bone structure allows the motion needed, the Quarter Horse is more than a match in many, many sports. This too is a gift from their direct ancestors as the Running Horse was a tremendous cross country horse and jumper, documented as being not only able to jump high from a trot or canter, but even from a standstill. The Quarter Horse and of course the Paint, which is basically a QH with spots, are an American treasure that has its roots in the first horse brought to our Atlantic colonies. O'Reilly, Chuchallaine "Ireland's Forgotten Cowboys"